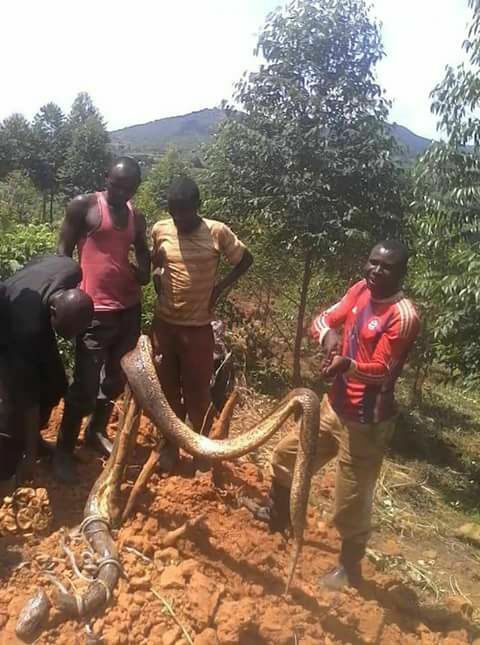 Over the weekend, Balaam’s employees killed a python that they found in his farm in Masindi. It is not yet clear how it happened, but a picture of Balaam’s farm men posing with the dead python leaked onto social media. This infuriated Abbey Rafsanjan, a former scribe and US based environmentalist who went on a long Facebook rant that spanned for hours. Balaam’s friends and other social media followers came to his defense saying that snakes are dangerous and therefore can’t co-exist with human beings like Rafsanjan wanted them to.